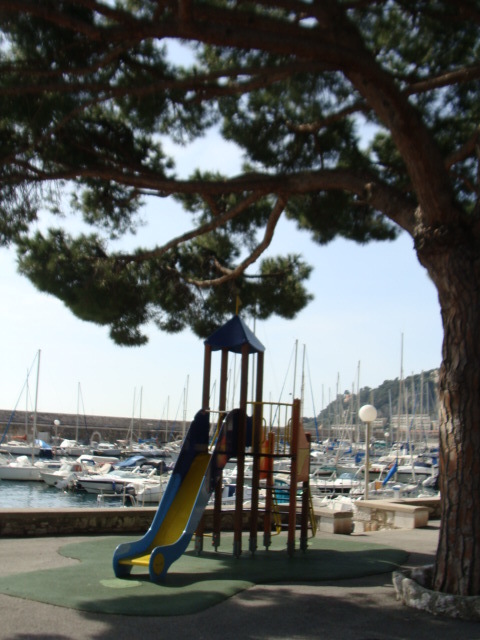 I thought it was due time to update my previous blog post about playgrounds on the French Riviera. 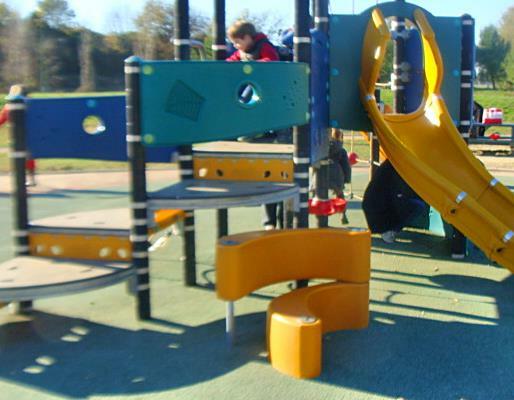 If you have children, the region has lots of options for playground fun. I have included mostly free public options in my list here, so if you have any questions feel free to post your question in the comments below the post (if there is an entrance fee I have specified where relevant). This is by no means an exhaustive list, just an overview of a few playgrounds we have tried and tested on the Côte d’Azur. – UPDATE 19 August 2018: Unfortunately, the 2 public playgrounds in Antibes old town on rue Republique, beside the carousel and main post office (La Poste) have been closed due to construction works for the Marenda Lacan new shopping precinct. Construction work has been stalled for some months now, so it is a great shame that tourists and local residents have no playgrounds for use during summer 2018. The nearest public playground to old town Antibes is on the way to Salis beach at the bottom of Albert 1er. – 2 public playgrounds at Salis beach (plage du Ponteil) – one is nearer to the Archaeology Museum beside the boules pitch and there is a public toilet beside that; the other is very small and located opposite the carpark at the beach. – Small fenced playground on the corner of avenue Philippe Rochat and avenue Mas Ensoleillé. – Medium-sized fenced playground between route de Grasse and Hameau de la Palmeraie with climbing structures, rocking horses, slides. – A playground at Les Semboules area, next to Jacques Prévert school. This is a great playground for hot days as it is entirely shaded by trees. Plenty of free carparking across the road. Suitable for toddler age to older kids, there is also a basketball court and ping-pong table adjacent and picnic tables. No toilet facilities onsite and the water fountain doesn’t work, but a great playground nonetheless because it is a community playground and never busy. – Parc Départemental Valmasque: Between Antibes and Mougins this large park has forest walks, fitness trails and playground equipment. Lots of shady trees, picnic tables and toilet facilities. – Large playground zone beside parking Villette. There is an accessible pay toilet beside the playground. Lots of play equipment for different ages including climbing frames, swings (including a baby swing), rockers as well as a mock road system which is great for scooters and bikes. – A playground is located at Square Mistral which is a good option for beach goers along the boulevard du Midi. It is 5 minutes flat walk from Cannes Vieux Port. – Adjacent to the Palais des Festivals on boulevard de Croisette (near to the public beach where the Petit Train departs from): Children’s entertainment area including carousel, funfair stalls, snack kiosks. There is a small climbing frame, but it’s pretty unimaginative. Public toilets are nearby on the beachside of the Croisette. – Further along boulevard de Croisette in the direction of Port Pierre Canto, there is another public playground at the end of the beach with playground equipment. – Small playground at Square Nabonnand on the main road by the post office. – Main playground is at Pinède Gould (also known as Jardin de la Pinède) with playground equipment, mini-train, dodgem bumper cars and mini-carousel. (Rides are chargeable). There are also squirrels to watch that roam free in the pine trees in the park. – Another carousel is on avenue Guy de Maupassant on the Juan les Pins promenade beside Le Ruban Bleu restaurant, and just along from the carousel toward La Jétee restaurant there are go-karts and trampolines in summer. – There is a public playground/park at Jardin Pauline (corner of rue Pauline and boulevard Raymond Poincaré). Lots of trees so it’s great for hot days! – Another small fenced public playground at Square Duluys (corner of rue St-Marguerite and boulevard Raymond Poincaré). – Parc Exflora, chemin du Vallauris, between Juan les Pins and Golfe Juan: Large open grassed area for picnics (no playground equipment). Small lake for feeding ducks. You can obtain access to the public beach via a tunnel under the coast road/railway line. Across the road from Parc Exflora on the corner of chemin des Eucalyptus there is a boules pitch and a small playground with public toilets nearby. – Ludiparc, 1401 route du Pont de Pierre, 06480 Le Colle sur Loup: Park set on 4.8 hectares with trees and river frontage, playground equipment, climbing frames, trampolines, inflatable castles, mini-golf, ping-pong tables, restaurant onsite for snacks, carparking onsite, Wifi connection, baby changing table. Entrance fee payable €4 (free for children under 3 years) www.ludiparc.fr Note: The terrace and toilet facilities are not wheelchair accessible. The biggest benefit of Ludiparc is they have water activities that are perfect for hot days including a splash park and access to the River Loup. – There are a few public playareas in La Colle sur Loup – on rue Max Barel in the village, at Jeu de Baume down from the rue Clémenceau, and at the Parc de la Guérinière. While not technically classed as part of France, I have included Monaco/Monte Carlo as many visitors stay in Monaco or daytrip there. – If you have children you can stop at Parc Princesse Antoinette (Princess Antoinette Gardens), La Condamine, 54 bis boulevard du Jardin Exotique, 98000 Monaco – a free park with go-karts and a playground. Older children can be entertained there by mini golf, badminton, ping-pong, a football pitch and basketball courts. – There are carousels near the Stade Nautique, and on the Larvotto Esplanade. – In the Fontvielle area, there is a playground by the Princess Grace Rose Garden and a carousel near the Fontvielle Big Top. Kids can wander around the Trocadéro Gardens, or after some retail therapy the family can enjoy time out at the children’s playground area at the end of the pedestrianised rue Princesse Caroline. – Another great spot to take the kids and escape the bustle of Monaco, is the free Japanese Garden on avenue Princesse Grace in Monte Carlo – a real oasis of serenity with waterfalls, stone bridges and Zen gardens. You can’t run around or kick balls but it’s a nice zone to wander through. – Free entry playground at Ecoparc Mougins, on chemin de Fontaine de Currault. Accessible eco-toilet onsite at the playground, climbing frames, swings (including a baby swing), small ropes courses, playhouses, balancing beams. The play area has seating and lots of trees for shade. Nearby at the Ecoparc centre is a cafeteria that sells cold drinks and icecreams, and sometimes there are amusement rides such as vertical bungee or bouncy castles set up in summer (rides are payable). – Parc du Chateau, rue de Foresta/Montée Monfort: Located at the end of quai des Etats-Unis overlooking Nice, this park is on the hilltop with old ruins, a waterfall, playground, restaurant, lookout points over Nice city and port and snack kiosk. There are public toilets onsite. You can take an elevator up from quai des Etats-Unis, or if you are stroller-free walk up the numerous stairs for a wonderful view from the top. – Parc Phoenix – find out more about Parc Phoenix here. – Located on the western edge of the ‘Musiciens’ quarter in Nice (so named because the streets and squares are named after famous musicians such as Verdi) you can find the Jardin Alsace Lorraine, 30 boulevard Gambetta, with park benches, statues and a fenced in children’s playground. – Central Nice play area – There is a carousel at Albert 1er gardens, also the Promenade du Paillon/Couloir Verte playarea at place Massena with sprinklers, wooden play structures, swings. Accessible toilets onsite. 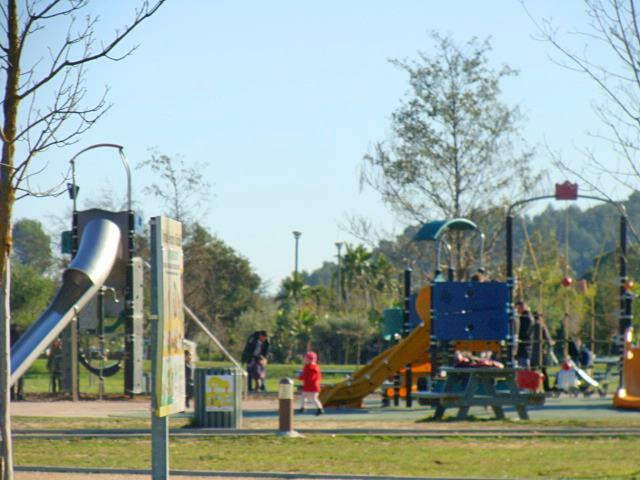 – Parc de Loisirs on the Carrefour du Piol, D3 d’Opio-Valbonne is a great park with a big playground zone with play equipment for just-walking age, toddlers and older kids. Slides, climbing ladders, basketball court, exercise station, cycle paths, grassy areas for kicking balls around, accessible public toilet, picnic tables. No snack kiosk onsite but there is a bakery nearby towards Valbonne. Between May-mid June they install skate ramps for initiations in skateboarding and roller blading. – Plage des Graniers, located beneath the St Tropez citadel gets busy in summer but is family-friendly and offers a few different playgrounds beach-side. – Plage des Jumeaux, route d’Epi, Plage de Pampelonne, Ramatuelle is a good place to take kids where adults can watch the kids on the playground on the beach. – Playground in Valbonne on Val du Tuveret beside the big carpark and skate park. There is a toddler playground on the road with Hôtel de Ville and the Abbaye de Valbonne. – Parc des Bouillides, route du Parc, 06560 Valbonne Sophia Antipolis: It is closer to the Sophia Antipolis area than Valbonne but is zoned as Valbonne by the local parks. Access from Antibes is via route du Parc and look for the small side road on the right-hand side with a small sign leading to the restaurant ‘La Source’ and carpark. Fenced playground with soft matted area, running track, walking trails, also has municipal sports athletics club, climbing wall, basketball, volleyball and tennis courts, skate park. Picnic tables all through the park, and paved pathways which are well-maintained for scooters and bikes. No toilet facilities onsite. 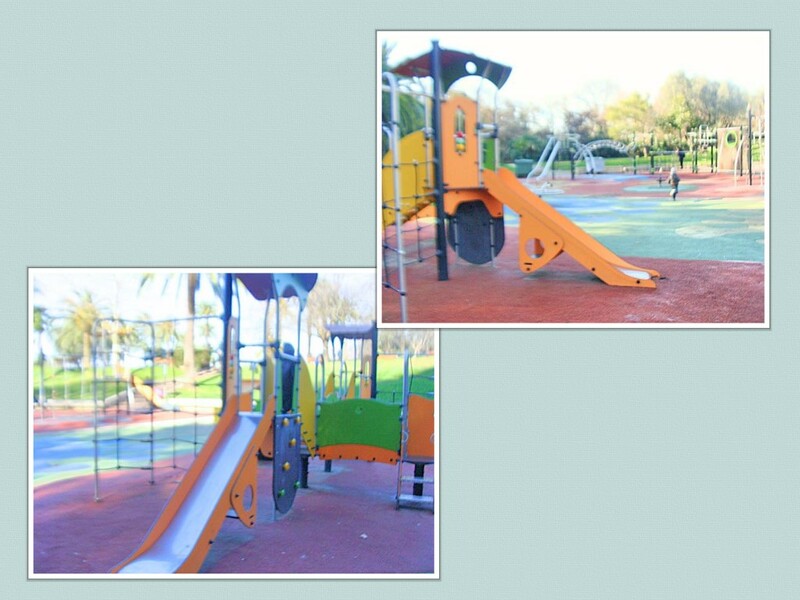 – A public playground is located at les Jardins de l’Octroi, Square François Binon, 06230 Villefranche-sur-Mer. – Another small public playground is also beside Port de la Darse, you can reach it via the coastal pathway below the Citadelle but be aware that this pathway while paved is uneven in places. – Parc de Vaugrenier: 2 kilometres towards Nice from Antibes this park has walking paths, picnic tables and forest walks. A children’s playground area, nature trail, wooden confidence course and accessible toilet facilities are at the eastern entrance. There is also a lookout hut over the lake to view turtles. This entry was posted in Activities, General information, Sightseeing and tagged aire de jeux cote d'azur, aires de jeux cote dazur, Antibes holiday, Antibes tourism, Cannes holiday, Cannes tourism, child friendly Antibes, child friendly Cannes, child friendly Juan les Pins, child friendly La Colle sur Loup, child friendly Monaco, child friendly Monte Carlo, child friendly Nice, child friendly St Tropez, child friendly Valbonne, child friendly Villefranche, children's playgrounds Antibes, children's playgrounds French Riviera, children's playgrounds Juan les Pins, ecoparc, families Juan les Pins, family activities Monaco, family activities Monte Carlo, family friendly Antibes, family friendly Cannes, family friendly Cote d'Azur, family friendly French Riviera, family friendly La Colle sur Loup, family friendly Nice, family fun Nice, holiday in Antibes, jardin enfant cote d'azur, Nice tourism, parc des bouillides, playareas Antibes, playground Antibes, playground Cannes, playground in La Colle sur Loup, playground Juan les Pins, playground Mougins, playground Nice, playground opio, playground St Tropez, playground Valbonne, playground Villefranche, playground Villefranche sur Mer, playgrounds Antibes, playgrounds French Riviera, playgrounds in Antibes, playgrounds in Monaco, playgrounds Juan les Pins, royal kids antibes, stroller friendly Antibes, traveling with children in France, vaugrenier, what to do on a rainy day in the south of France, what to do with kids on a rainy day. Bookmark the permalink.